Social inclusion through transport | En Avant! Public transport is the lifeblood of communities. A good network will ensure that everybody can reach jobs, friends, family, education and leisure activities when they need to, regardless of where they live, their income, age, ability or level of confidence. 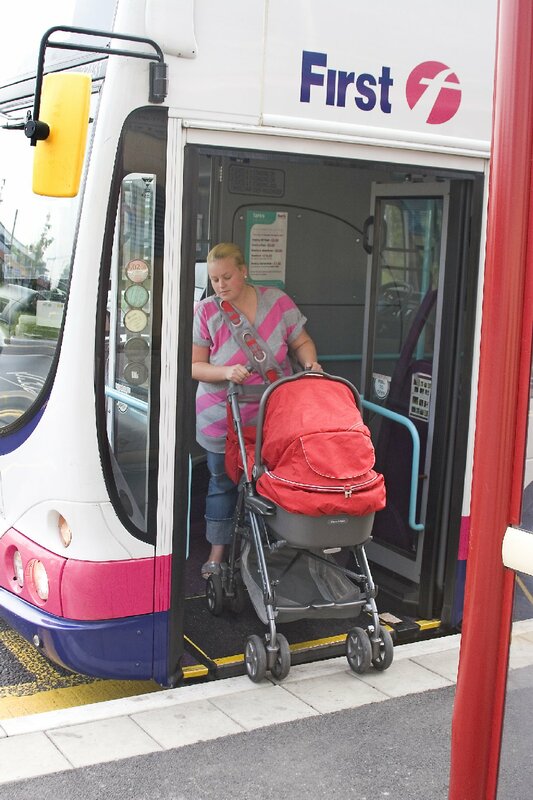 For the many people who rely on it – including more than half of the lowest income households who have no access to a car – public transport is the vital link that keeps them connected to the wider world and the opportunities it has to offer. Worryingly, in recent years, many people have seen this link severed as commercial bus operators cut ‘unprofitable’ routes, for example, buses running to isolated housing estates, to focus on the more lucrative commuter market. To make matters worse, commercial bus fares in some of the largest city regions outside London have soared in real terms to almost double what they were 20 years ago, forcing many people to limit the journeys they make. Our recent report, ‘Transport and Social Inclusion: Have we made the connections in our cities?’ argues that these changes to mainstream bus services are undermining efforts to secure equal access to opportunities. In efforts to reduce the impact of service cuts and fare increases, Passenger Transport Executives (PTEs) and their partners have been at the forefront of developing and delivering a broad range of successful and innovative projects that help keep people connected. Our report contains many examples of these, from simple and affordable fares for children and young people in Tyne and Wear (resulting in a million extra journeys by this group in the first six months alone) to a bus service connecting residents in a deprived area of Manchester to job opportunities at Manchester Airport. Activities that make a difference do not have to be costly and can even help local authorities use their resources more efficiently. In West Yorkshire, for example, MetroLocal hopper buses – which provide access to shops and services in areas not served by commercial bus routes – double as home-to-school transport for children with Special Educational Needs in the early morning and late afternoon. Without MetroLocal, these buses would have remained in the garage whilst the children were at school. Instead, they are being put to best use in the community throughout the day. We think this is a great way to make full use of vehicle fleets and our report is calling for a national pilot of such schemes where school, community, health and social service vehicles are pooled together (known as ‘brokerage’ schemes). These examples give just a flavour of the work PTEs and local authorities can do, and are doing, to address the shortfalls in the commercial network. However, such projects, whilst extremely valuable, do not alter the fact that the mainstream network itself needs to change to better reflect the needs of communities. We can help bring this about by using the powers available to us in the Local Transport Act. The Act gives local authorities the tools to specify what bus services are provided in their areas, from frequencies and timings to fare levels and routes. Our report recommends that local authorities should now make full use of these powers to change buses for the better and ensure that everyone in our communities has convenient and affordable access to the best in local services and opportunities.